I am writing to review the status of the Lake Panorama Association Irrigation project for which Commercial Irrigation has been the contractor. Please let me first relay that we have been extremely satisfied with the service we have received from Ryan Kerber and the crew. Ryan has done an excellent job coordinating this project with our course superintendent Dan Wollner. We feel fortunate to have worked with him on this project and want you to know that we hold a very high opinion of Ryan. This project has been a huge success and every aspect was handled over our expectations. Please feel free contact me should you wish to discuss this letter or any aspects of the project itself. Again, thank you for all of the efforts put forth by Ryan and the staff of Commercial Irrigation. 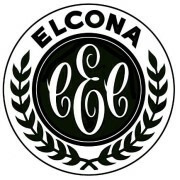 “On behalf of the membership, Board of Directors and staff of Elcona Country Club, I would like to thank you for the thoroughly professional job that you and your staff provided us during the complete renovation of our irrigation system. From the bidding process through the testing of all 1,350 irrigation heads, I have never been associated with a company that has acted in a more professional manner and had the attention to detail that you and your staff displayed. Many of our members, who at times can be extremely hard to please, have had nothing but positive comments about the lack of disruption in play, on-time completion and the cleanliness and playability of the finished product (even on the same day a hole was completed!). This alone speaks volumes of the services you provide. I would also like to thank you personally for the professional manner in which you handled the unexpected challenges during the early portion of the project. Your commitment to this project calmed my anxieties and allowed me to enjoy every minute of it. I could not write such a letter if it weren’t for the performance and reliability of Ryan, Mike, Randy and the rest of the crew on this project. At the start of the first day they proved that they are a valuable asset to your company by being organized, detailed and communicative. It is without hesitation that I recommend Commercial Irrigation for any size project and I look forward to continuing our relationship into the future. Thank you! Your guys are doing great! I still haven’t met Mike, I finally got over to # 8 Tee mound Friday afternoon, but he had already headed back to Westfield. I draft this letter in strong recommendation of Commercial Irrigation. We brought Commercial in to complete a full Clubhouse/Landscape irrigation install along with some extensive golf course additions/moves/repairs during a full blown bunker restoration. I must say the first class treatment from Dan through the site superintendent and install crews is second to none. My project was quite complex in nature. Dan began working with us to devise the best possible scenarios, and blend with the Architect, Construction Company, and Irrigation Designer. 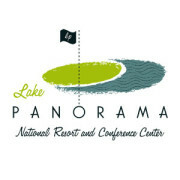 His staff knew how to execute and perform under tough conditions on a summer busy golf facility. For any specific information, do not hesitate to contact me by phone, text, or email.